I bought it for the pressure-resistant tube for making carbonated water, In this case there was no problem even if it was not necessary because there is no negative pressure applied. I think that it is good for the reinforcement protection of the joint part. This review is about item#35314535. This review is about item#35314544. I put it in a 6 mm hose, but it was a sposo compared to other items. Turn it over and it will fall. The part of the barbecue is also small, and if you do not do it, it seems to have entered the hose. It is Pisco for the time being because it becomes negative pressure. It is cheaper than other companies' inserts. Pisco parts are reliable. Thank you very much. This review is about item#35314526. It is used to connect carbonic acid gas hose, but when you use insert ring, the connection mouth becomes firm. In my case water leaked. I tried another company 's tube besides the leaked tube, but it was useless. Installation is also cool quality feeling. Also, by installing this I feel that the lock is definitely stopped. This review is about item#35314596. 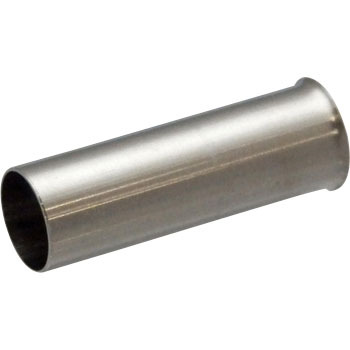 Used for soft nylon tubing, one-touch fittings. If you do not use this, you buy the tube as it leaks when you bend it. Even when bent it did not leak out.